Transworld Album. Hardback album, 135 pages, A4 size. Pages printed in black with country headings plus some information about each country. £6.95 De Luxe Stamp Starter Pack. Supplied in a yellow correx carrying case, contains the Transworld album described above, plus a packet of 500 different world stamps, 1,000 hinges, tweezers, a 90mm magnifier, and a copy of the book "How to Identify Stamps". 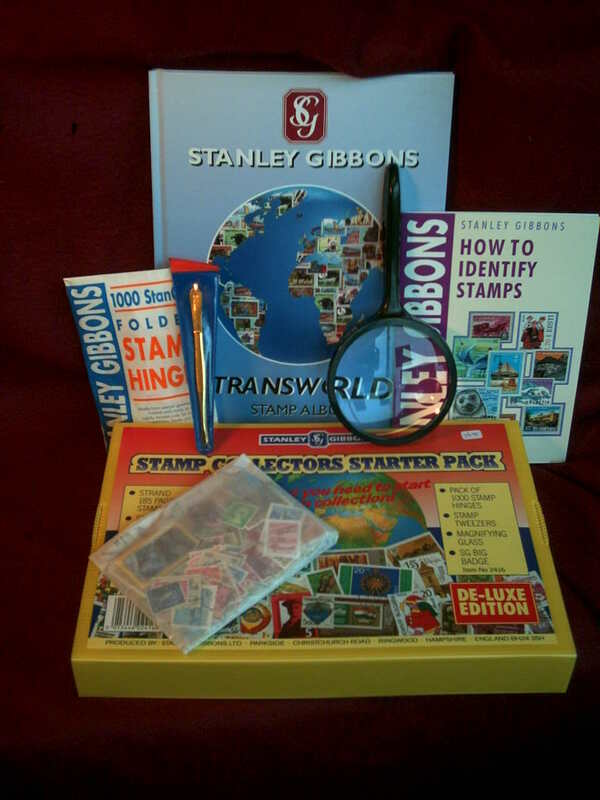 The difference between this and the "Super" outfit is that there are 500 world stamps (rather than 250 thematics), metal tweezers (rather than plastic), a big magnifier (rather than small), and the book is How to Identify Stamps, a bit more substantial than Enjoy Stamp Collecting.